How were you feeling when you approached DSG? I was feeling hopeful. I had been feeling sad, angry, tormented, confused, powerless and stuck for a number of years, attempting to recover from divorce, and wanted to improve my relationship with my ex. Why did you choose DSG? I chose DSG having already experienced another divorce recovery group that offered larger groups, less time, more structured, and a weekly film about stages of separation and divorce, led by trained volunteers, not counsellors or psychotherapists. I wanted more time, a smaller group, led by a psychotherapist. I was reassured by your web site and the details of your experience. What are your experiences of the process? In the individual sessions I felt very supported and understood. 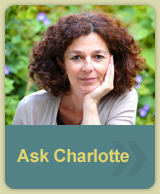 The therapist (Charlotte) was calm and thoughtful, posing insightful and helpful questions. The group sessions were helpful. Although I felt stressed and resistant, it was still very much a space to begin to articulate some of the complexity of my situation, my confusion and conflicted thoughts and feelings. At the end I felt sad to say goodbye, and would have liked more time. I felt that I had had an opportunity to acknowledge my stuckness, and shift my position a little. See the group as a step on the way.